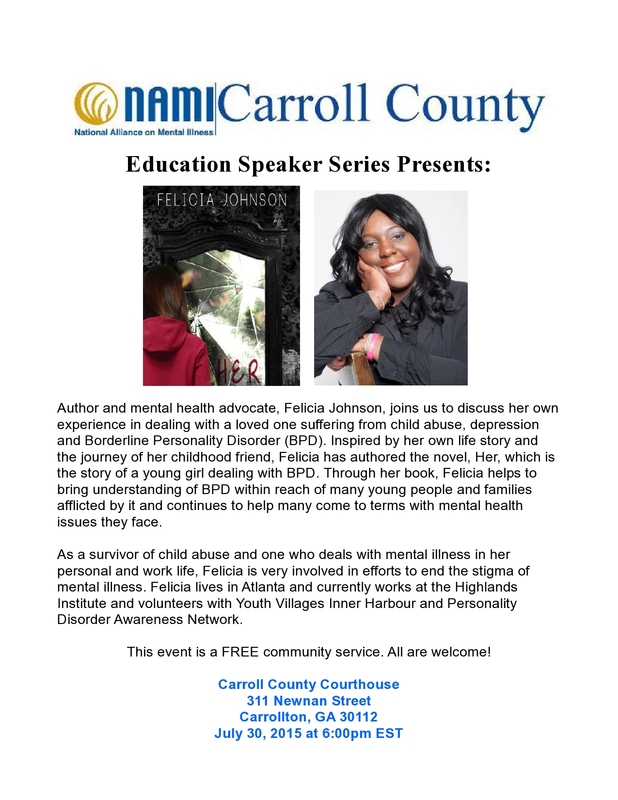 Author, Felicia Johnson – Author Page, will be the presenter at NAMI Carroll’s and Carroll County Mental Health Advocates’ Educational Night on July 30th at 6 PM at the Carrollton Courthouse. Please join us so Felicia can share her knowledge as a mental health worker, survivor and advocate of those dealing with borderline personality disorder. She will bring copies of her book with her. 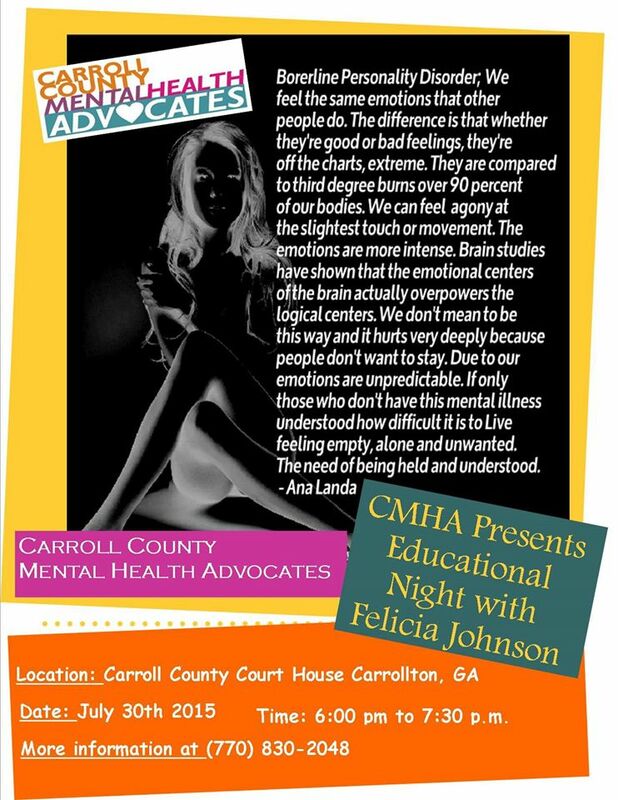 CMHA & NAMI Carroll invite everyone to the Educational Night on July 30th from 6:00 pm to 7:30 pm. 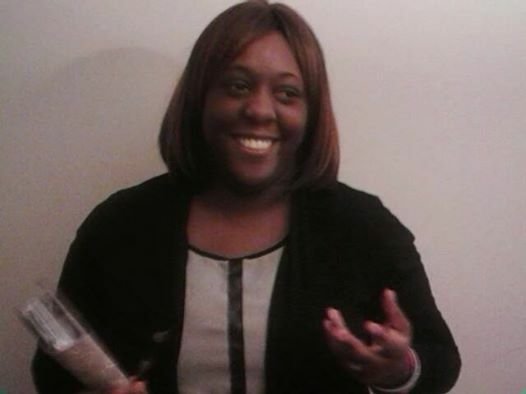 featuring Felicia Johnson, speaking about Borderline Personality Disorder. This event will be at the Carroll County Court House, and it will be very insightful! Please like our page, and share this event on your walls to help spread the word! 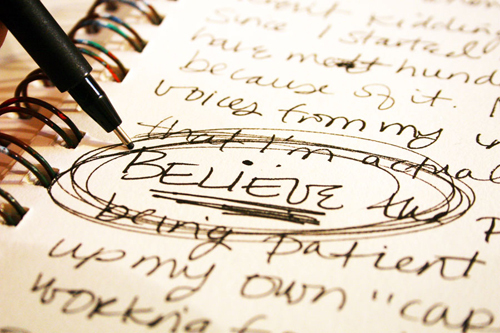 Advocacy in the Face of Stigma.